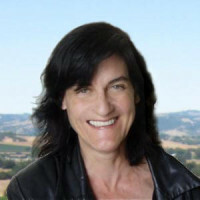 Saill White has been designing user interfaces since 1993. With a degree in Physics from U. C. Berkeley, she started off her career doing data analysis for Astrophysics research. Her interest in green technology led her into the world of Building Energy Efficiency, where she got her first taste of writing software when she wrote her own software to help architects optimize passive solar designs. From here she wandered into the world of Open Source software, where she ended up as Vice President of Product Development for a start-up company developing a new virtual cross-platform Linux environment. In this capacity she discovered a love for determining the needs of users, and for marketing products and ideas. She put herself in charge of web interface development for the company and in this way developed the web programming skills she applies today.